You may have heard that chewing gum is bad for your teeth, but the act itself is not harmful. In fact, gum can actually be good for your teeth, depending on the ingredients it contains. It is important to monitor the ingredients in your gum and the length of time your teeth are exposed to certain harmful ingredients. Namely, sugar. While it is an accepted fact in the dental community, many people often question whether chewing gum is good for their oral health. Doubters can rest easy knowing that scientific evidence and numerous studies have shown that munching on sugarless gum is beneficial for your chompers. How Does Chewing Sugarless Gum Help? When you eat or drink, your teeth are exposed to acid that is produced when the bacteria in your mouth break down sugar and carbohydrates. The acid erodes your tooth enamel over time, which causes tooth decay. Chewing gum stimulates saliva production, which neutralizes the acid. Saliva also helps dissolve sugars that might be stuck in the gaps between the teeth, limiting the growth of bacteria and acid. Chewing gum can also help dislodge food particles and break up plaque. Although chewing gum is beneficial, sugary gum negates those benefits by increasing the presence of sugar in your mouth. It is important to limit your sugar consumption (even in the form of gum) because bacteria in the mouth feed off sugar and produce decay-causing acids. When you chew gum that contains sugar, the sugar is dissolved in the saliva and is absorbed by bacteria in plaque. Once a bacterial cell absorbs the sugar, it is supplied with the energy it needs to multiply. If the bacteria is not removed with brushing, it will fester, which can result in gum disease and tooth decay. On the flip side, chewing gum that contains xylitol has the exact opposite effect. Xylitol is a sweetener that is found naturally in fruits and vegetables. It has 40 percent fewer calories than sucrose (another name for sugar) and can be consumed safely by diabetics. Xylitol is also easily absorbed by bacteria, but once it is absorbed, the cell will try to expel it. 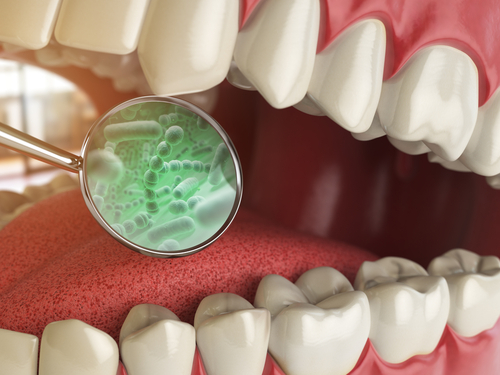 Because the energy is used to expel the xylitol and not to reproduce, a bacterial cell is less able to stick to the teeth, and it eventually dies. Dentists and the ADA recommend chewing gum for 20 minutes after eating and drinking. 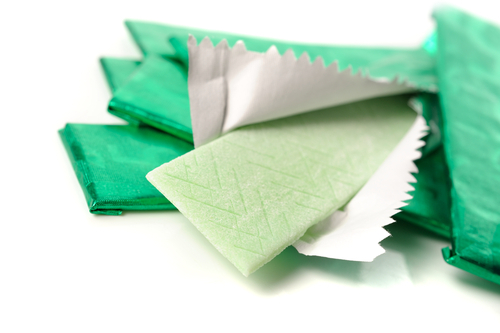 While sugar-free gum is beneficial, chewing gum does not replace brushing and flossing. It may not be a good idea to chew gum excessively, as TMJ may occur or be aggravated. It is important to remember to maintain proper oral hygiene by brushing at least twice per day and flossing at least once per day. If you would like more information regarding your dental health and learn of other steps to help fight cavities, be sure to schedule an appointment by calling my Beverly Hills practice at (310) 273-0111, or you can fill out our online contact form. This entry was posted on Monday, January 7th, 2019 at 7:50 am	and is filed under Gum Disease. You can follow any responses to this entry through the RSS 2.0 feed. Both comments and pings are currently closed.